When you buy a luxury home, or an ordinary home in an expensive market, you might discover that you need a jumbo loan. If so, this calculator is for you. A jumbo loan is a mortgage that’s too large to be guaranteed by mortgage giants Fannie Mae and Freddie Mac. The amount varies by county. It’s higher in counties where housing is expensive. In 2019, the jumbo loan limit ranges from $484,350 to $726,525. NerdWallet’s jumbo mortgage calculator lets you input a home price, down payment amount and interest rate. The results show how much you’ll pay each month toward principal and interest, plus your estimated property taxes and homeowners insurance costs. Ideal for tech-savvy borrowers that prefer an online experience. Better.com provides a seamless and easy-to-navigate application process. And best yet: Better.com charges no origination fee. Jumbo mortgages are straightforward: They’re like conforming loans, only bigger. Most jumbo lenders require a down payment of at least 20% for these loans. Our jumbo loan calculator delivers an estimate of how much a big mortgage costs — not only the principal and interest, but also estimated property taxes and homeowners insurance, which are important expenses that other calculators don’t include. This gives you a more complete view of how much you will pay for a home with a jumbo-size mortgage. 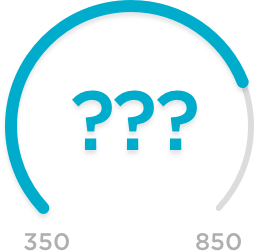 NerdWallet’s jumbo mortgage calculator delivers an estimate of how much you can expect to pay each month for a given loan amount and interest rate. The snapshot of estimated monthly payments is helpful when you’re figuring out how much you can afford. The calculator has an especially nifty feature: You can toggle between 15- and 30-year terms and see the difference in total interest paid over the life of the loan. Fill in the home’s price (or the price you expect to pay). Enter the size of the down payment. Input the interest rate. If you need help coming up with a number, follow the link under that field to see the rates that lenders are currently offering. Select a 15- or 30-year loan term. A 15-year loan has higher monthly payments, but you pay it off quicker; a 30-year loan has more affordable payments, but you pay more interest over the life of the loan. Pick the range of your credit score. Under “Results,” you’ll see the estimated monthly payments, including property taxes and homeowners insurance, as well as your total estimated payout over the life of the loan, including the down payment. Select the “Monthly” box and you’ll see the payment broken down by principal and interest, estimated property tax and, finally, estimated homeowners insurance. Select “Total” and you’ll see the down payment, the principal (which is the same as the loan amount), all of the interest paid and the total estimated homeowners insurance and property tax paid over the life of the loan. What monthly costs are included in the jumbo mortgage calculator? Principal. This is the amount you borrowed. It’s equal to the home’s price minus the down payment. Each mortgage payment repays a portion of the principal. A slightly larger amount goes toward your loan balance with each successive payment. Interest. This is the price you pay to the lender for borrowing the money. Your first mortgage payment goes mostly toward interest, and the amount gradually falls every month. Taxes. Typically, you pay one-twelfth of your annual property tax bill in each monthly payment. NerdWallet estimates that your annual tax bill will equal 1% of the home’s value. Your tax rate will likely be different. Insurance. Most mortgage borrowers pay their homeowners insurance similarly to how they pay property tax: One-twelfth of the annual bill in each monthly house payment. NerdWallet estimates that annual homeowners insurance premiums will cost 0.3% of the home’s value. Your insurance might cost less, and it might cost substantially more if you live in a disaster-prone area. Should you get a 30-year or 15-year loan? You can compare how different loan terms would affect monthly mortgage payments. Just enter the home price, down payment amount, interest rate and credit score range, and then toggle between loan terms. The differences will immediately be reflected below. What’s the difference in monthly payment between the asking price and the amount you want to offer? Change the dollar amount for the home price and see how payments are affected. How would a bigger down payment affect your monthly costs? Keep the home price the same, but enter different down payment amounts to see the changes in payments. What if interest rates go up or down? You can enter different interest rate percentages to see how those would affect your costs. Is the down payment big enough? The calculator automatically computes the down payment percentage. Most jumbo lenders require a down payment of at least 20%. Should I refinance my jumbo loan? Plug your outstanding mortgage balance and the current interest rate into the jumbo mortgage calculator to see the effect on your monthly payment. You can also see the total interest you would pay if you refinanced into a loan with a different term length. The calculations of principal and interest are actual costs, rounded to the nearest dollar. The property tax and homeowners insurance are estimates, and the true costs will vary. What is the jumbo limit in 2019? A jumbo loan in most counties is a mortgage for more than $484,350. But in the priciest markets (think Manhattan), a jumbo is a home loan for more than $726,525. In some places, the jumbo limit is between those dollar amounts. Take Florida, for example. In every county except one, a jumbo loan is any mortgage for more than $484,350. The exception is Monroe County, where Key West is. Homes in Key West are more expensive than in the rest of the state, and anything over $529,000 is considered a jumbo loan. Get a nuanced verdict on how much home you can afford. Start with our home affordability calculator, then fine-tune with the jumbo mortgage calculator. Make sure the estimated payments fit your budget. Make offers and counteroffers intelligently. Plug in the numbers for price, down payment and interest rate, and see how various situations would affect the monthly payments. Compare lenders. The jumbo mortgage calculator recommends highly rated lenders; you can enter their interest rate quotes into the calculator and then run the numbers.